Rome, Oct 24 (IANS/AKI) Italy has pledged 7 million euros to help more than half a million Rohingyas, mainly women and children, who have fled to Bangladesh to escape conflict in Myanmar, Foreign Minister Angelino Alfano said. 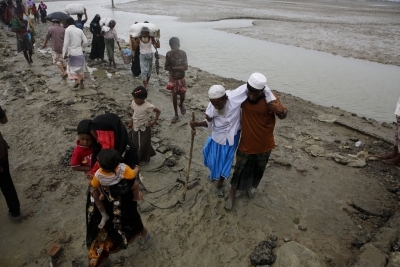 “We are deeply concerned about the situation of the Rohingya people. During the last few weeks, over half a million people, mostly women and children, had to leave Myanmar and find refuge in Bangladesh,” he said. Alfano’s remarks came as the UN and the European Union called a Donors Conference in Geneva to raise over $430 million to help the mainly Muslim Rohingya refugees who have fled a deadly military crackdown in Myanmar’s Rakine state since August 25. “In Geneva, Italy pledged 7 million euros in humanitarian aid to finance emergency relief activities to assure food, healthcare and protection by the specialised UN Agencies and the International Committee of the Red Cross both in Bangladesh and in Myanmar,” Alfano said. Italy’s diplomats will also work within the EU and the UN Security Council to ensure that Myanmar’s security forces respect human rights, that civilians were protected and that the UN gains humanitarian access to the area, the Foreign Ministry said. Italy will also try to help Rohingya refugees return to Myanmar as quickly as possible and “in conditions guaranteeing their security and dignity”, the Ministry said.